Wealthy, young widow Elena comes home from a date with Detective Cesare, only to find Lupin there, determined to get her rumored treasure. 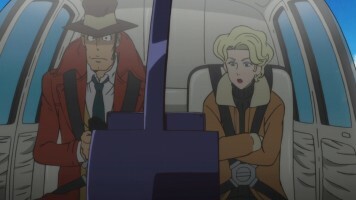 Zenigata arrives to drive Lupin off, after which he takes her into protective custody, where she decides the hidden mansion she has in the mountains would be best. There, Zenigata sees photos of Elena and her media mogul husband, Roberto, including one of Elena as a teen. Elena recounts how her father forced her into prostitution. One night, she was saved from some mafia thugs, and the rest is history. She has Zenigata prepare dinner, but he cuts himself and she gets a first aid kit to bandage him up. That night, Elena discovers Zenigata by the phone and flees. Zenigata gives chase, only to have Lupin show up in a helicopter to rescue her. 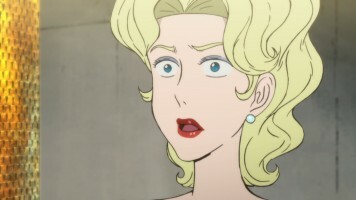 Elena reveals herself to in fact be Fujiko in disguise. 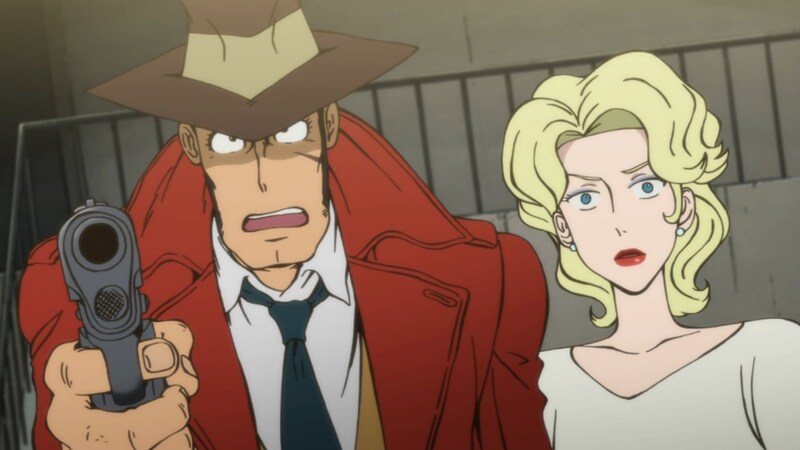 Fujiko isn’t happy to learn that Zenigata had busted Lupin (disguised as Zenigata) and Jigen while they were with the real Elena by reporting them to Detective Cesare. 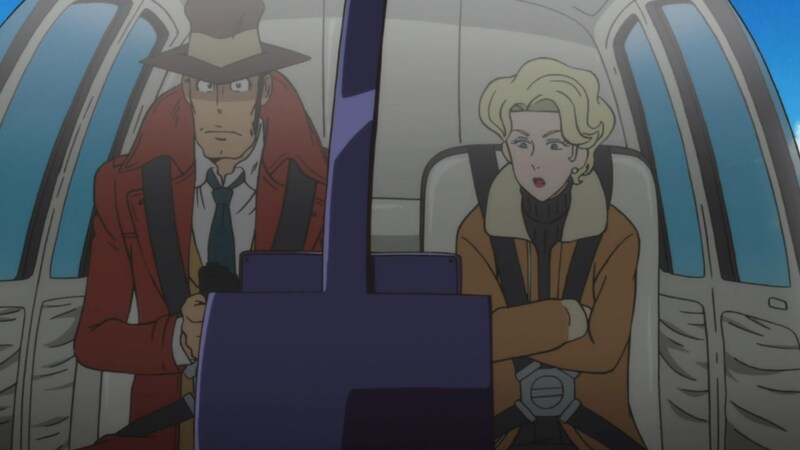 Zenigata shows up outside the helicopter and reveals that Fujiko blew her cover by being a perfectionist when she imitated Elena. Back at her mansion, the real Elena is confronted by Cesare, who wants the treasure. Zenigata shows up and gets shot in the cheek, but takes Cesare down. Elena says there’s no treasure, as this was revenge by her husband for her cheating on him when he was alive. 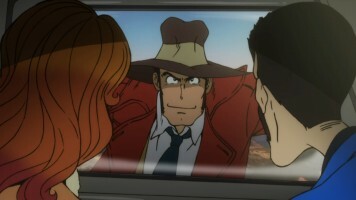 Zenigata works with Lupin to make it seem Lupin stole the treasure. 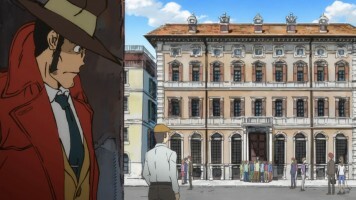 After Zenigata leaves, Elena thinks she’s safe and goes to the hidden treasure room of gold bars. Lupin, Jigen, and Fujiko arrive, but so does Zenigata, who forces them to flee. 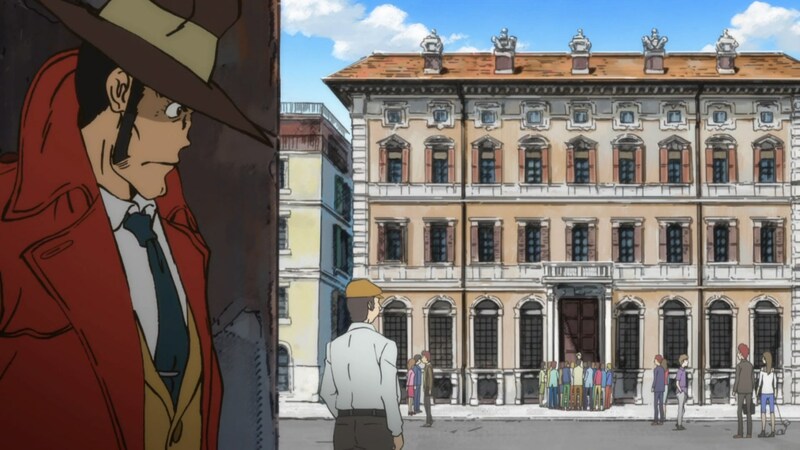 Zenigata tells Elena the treasure is hers to do with as she likes, so in gratitude to him, she decides to fight the mafia and end prostitution as a politician. This series continues to surprise me, and this episode was no exception. I was rather happy to see Zenigata get an episode and come off as mostly competent. 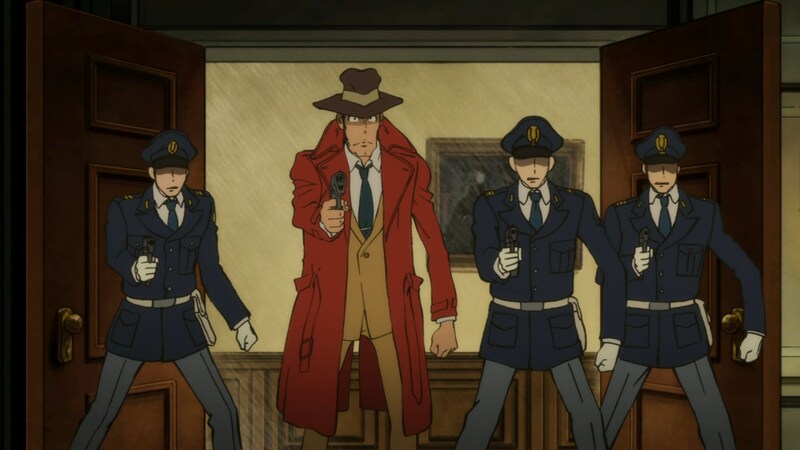 While I liked the episode, the production team felt they needed to play up both sides of Zenigata. On one side, we have the buffoon character of Zenigata. This came out briefly when his zeal to arrest Lupin causes him to cause the helicopter they were in to crash. I know that is a typical element of Lupin III titles, but in this episode, it was really out of place. Frankly, I would rather Zenigata not be made a buffoon at all. Fortunately, for most of the episode, Zenigata is a great detective and it shows. I loved that he was able to logically figure out that the Elena he was with in the mountains was in fact Fujiko, leading him to tip off Cesare. I loved that he worked with Lupin while at the same time, he understand Lupin doesn’t do things for free (unless it is for Fujiko) and so he was ready for Lupin’s robbery attempt. 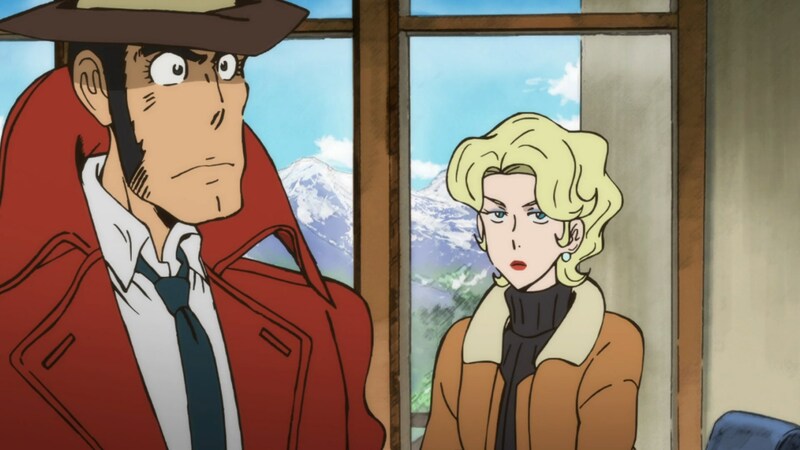 In some ways, it is a shame that Zenigata and Elena weren’t a couple. Elena has had a hard life early on when she was a child prostitute at the behest of her dad. She made a horrible mistake after being rescued from that life to become the young bride of a media mogul by cheating on her husband, leading him to brand her. After his death, the men interested in her were apparently only interested in the treasure. 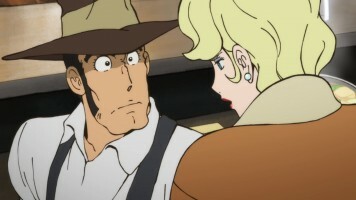 Zenigata had no interest in the treasure. His only interest was in helping a woman in trouble. So here was a guy whom Elena could trust. 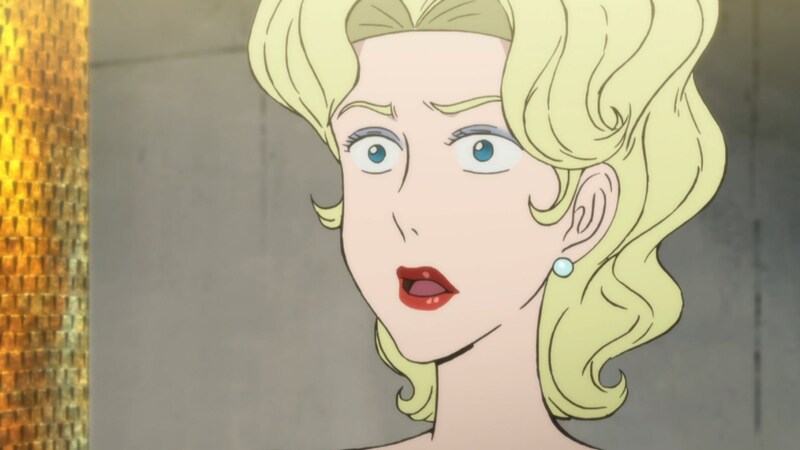 And there was clearly some attraction to Elena on Zenigata’s part, so maybe she’ll return. That being said, I’m fine with how things ended — Zenigata quietly watches Elena use her money to go against the mafia and prostitution. 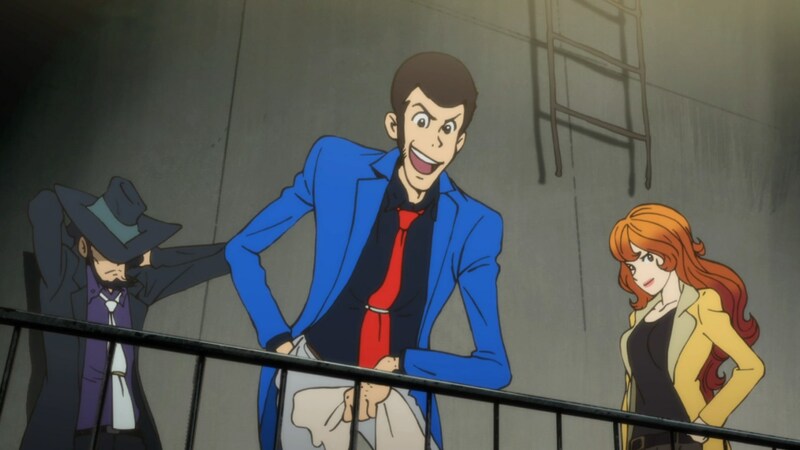 In the end, Lupin the Third PART4 06 was a pretty good episode that was only harmed by making Zenigata his classic, buffoon self for a brief time.